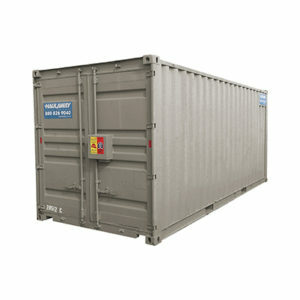 Are you looking for shipping containers for rent in San Francisco, CA? No matter what your project or need is there is only one name to trust for construction shipping containers; Haulaway Storage Containers. This company has been around since 1968 and has served the western part of the US with a stellar service record and on time deliveries that have resulted in repeat customers year in and year out whenever the storage need arises for any company. What makes Haulaway the best; let’s take a look at what they have to offer. Not only does Haulaway offer you on time delivery of your storage container, but they have a variety of sizes for their construction shipping containers. This allows you to choose the size of the shipping containers for rent in San Francisco, CA that you need and want for your project. For a small home remodel you might only need a ten foot shipping container while a construction site will most likely need several forty foot containers on site to handle the materials that need to be stored during the work in progress. The construction shipping containers from Haulaway aren’t beat up or run down. They guarantee ever one of their shipping containers for rent in San Francisco, CA are clean and in perfect condition to allow you the best storage experience possible. All containers are made of fourteen gauge steel and offer you steel and hardwood floors to ensure you have the right support for your items. All your materials will remain protected inside the container because every one of the Haulaway products is wind and water resistant which helps them be safe and secure to use. Don’t trust anyone else for and of your storage.